SR20 Forum > Main Forums > Chassis & Suspension > Uneven tire wear, alignment guru needed! Wait, why did I buy this? My B13 SE-R eats up front tires. These have ~16,000 miles on them, and the inside edge is completely worn down. 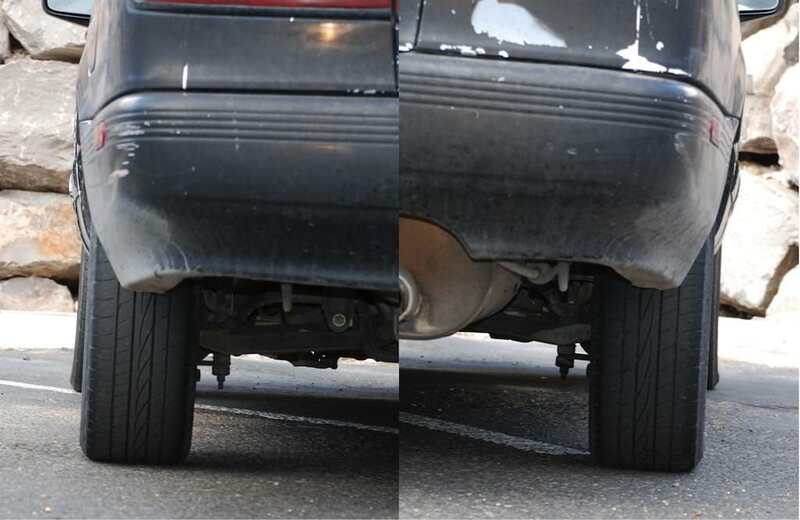 See images for wear, and negative front camber compared to the rear tires. The car does need an alignment. I have a set of Cooper CS3s I'm ready to install, but would like them to last as long as possible! 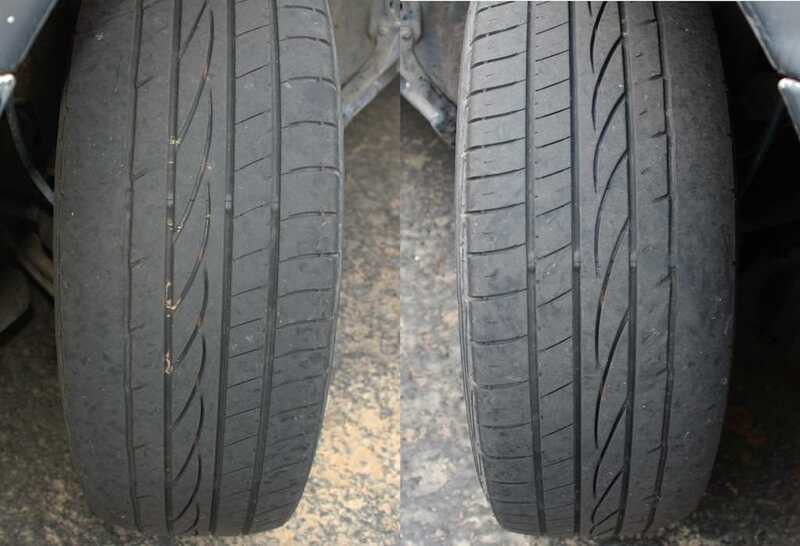 My theory is that the fixed-negative front camber combined with running 40-44 PSI in the tires has caused this. Can someone confirm this is likely the issue, and what's the best solution here? Even if I run the recommended pressures, won't the inside edge wear faster than the rest of the tire? Can I fix the camber with camber bolts or camber plates? camber pins, maybe 0.3-0.5 deg camber max for good handling,1-1.5mm toe in. fixed. ^^^^ what he said. Did you lower the car? Also, have you shook the car down to make sure all your suspension components are tight and you don't have any failing parts? Bad ball joints could cause that as well as too much toe in. The only good Nissan is an SR Nissan. Usually a toe issue will do that. I run 0 toe in front and rear. Negative camber and toe in eats tires. I had a right front that was wearing real bad on the outside with only 5K miles, also had a pull to the right when going straight. I moved that tire to the the right rear and no longer have the pull. I think it was the tire. I haven't put many miles on it since the change so the right front, which was the right rear, is still fine. But my front left has been and still is OK.
'91 SE-R, Original owner, PowerSlots, Magnacore, BFG's, NGK's , Stromung cat-back and 94K orig miles. Spring 2006 work: GR2's and boots with orig. springs, ball joints, TR ends - inner and outer, ES front CA bushings, CV joint rebuild.